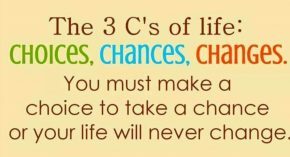 A thought: The Choice to Change Your Chance for Joy is all yours! Prov. 3:5-6. Happy Saturday!